Cerebral palsy, a condition that has mental and physical impacts, can be caused by medical negligence before, during or after the birthing process. Cerebral palsy (CP), an umbrella term that refers to a group of conditions, develops as a result of some damage to the developing brain. While there may be a number of environmental and biological factors that can contribute to the development of cerebral palsy, in many cases, CP develops as a result of some pregnancy complication and/or medical negligence that results in this birth injury. Cerebral palsy is the most common childhood motor disability. Approximately 1 out of every 323 children in the U.S. is living with cerebral palsy. More than 40 percent of children living with cerebral palsy are also living with some other serious impairment like epilepsy. Given the prevalence of cerebral palsy and the fact that, in many cases, medical negligence can contribute to this birth injury, in this article we’ll take a closer look at the facts about cerebral palsy. 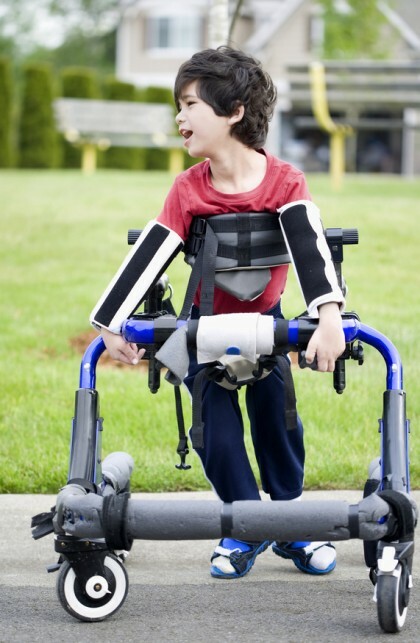 If your child has been diagnosed with cerebral palsy, we are ready to meet with you to help you determine whether your child’s CP may have been caused or worsened by some type of medical negligence. Spastic cerebral palsy – As the most common form of CP, spastic cerebral palsy is characterized by muscle stiffness, increased muscle tone and awkward movement. Spastic CP can impact only one side of a person’s body or his entire body, and this type of cerebral palsy accounts for about 80 percent of all CP cases. 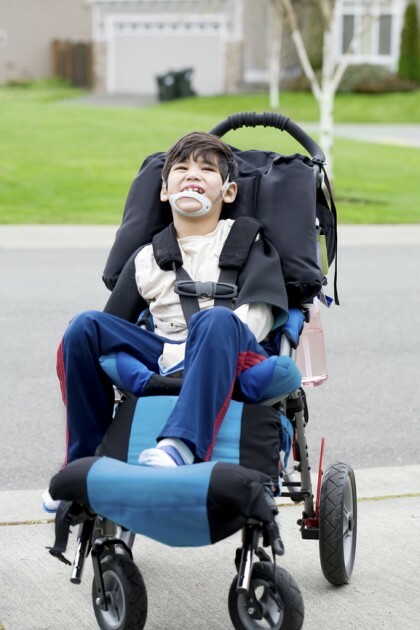 Dyskinetic cerebral palsy – With this type of CP, people will not be able to control their movements and can experience rapid jerky movements, writhing or some combination thereof. Ataxic cerebral palsy – This type of cerebral palsy impacts a person’s balance and coordination and can, more specifically, affect a person’s ability to write, reach and pick things up. Cerebral palsy symptoms will vary with age, as well as the type of CP a baby has. Contact us to find out if your child’s CP may have been caused by medical negligence. Lagging head movement when being picked up from a lying down position. Keeping one hand fisted when reaching out the other. Scooting on the buttocks and/or hopping on the knees. Some children may display any of these cerebral palsy symptoms but still may not have CP (as every child’s development will be slightly different). If you notice some of cerebral palsy symptoms in your infant, it’s critical you consult with your doctor for a proper diagnosis. Conducting specific medical evaluations to assess a child’s cognitive and motor abilities. Many cerebral palsy diagnoses occur within a child’s first three years of life. Because the forms of medical negligence that can contribute to cerebral palsy can vary, contact our Portland birth injury lawyers to find out if negligence caused your child’s CP. Improper use of forceps and/or vacuum extraction. There may be other forms of medical negligence that can contribute to the birth injuries that cause cerebral palsy. Because it may not always be obvious if or when some type of medical negligence has contributed to cerebral palsy, it’s critical to consult with an experienced birth injury attorney for a professional case evaluation. Has your child been diagnosed with cerebral palsy? If so, the Portland birth injury attorneys at the Savage Law Firm can help you determine whether medical negligence may have contributed to your child’s condition. Since 1977, we have been dedicated to providing each of our clients with the highest quality legal services, and we are ready to advocate your rights if you are entitled to compensation for your child’s birth injuries. Helping you recover from the financial setbacks caused by birth injuries is one of our primary goals. Our Portland birth injury attorneys encourage you to learn more about your rights and case by setting up a free initial consult.